They are not big players like Rolls-Royce or Singapore Technologies (ST) Aerospace. 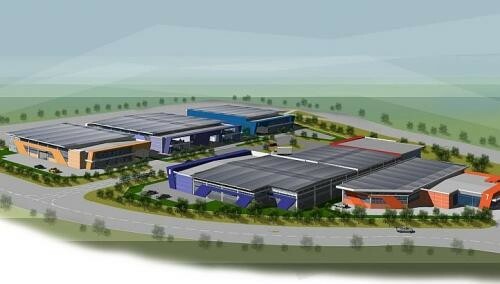 But a growing number of small and medium-sized local companies are setting up shop at fast-emerging Seletar Aerospace Park. To help more of them settle in, JTC Corporation is building two new towers - 10 and 11 storeys - and seven standalone factories. This is in addition to an existing seven-storey building - JTC Aviation One - and eight factories. The new structures will be ready next year. Of the 45 companies that currently operate at Seletar, about half are SMEs, JTC's aerospace director Leow Thiam Seng told The Straits Times yesterday. The decision to build the new facilities is to meet growing demand, he said. Instead of leasing land and building their own facilities, SMEs prefer the more cost-effective option of renting ready-built units, he said. The new development - JTC Aviation Two - will provide more than three times the space available at the current seven-storey building. At the launch of the project yesterday, Minister of State for Trade and Industry Teo Ser Luck said a key reason for the success of Seletar Aerospace Park is that it allowed industrialists, suppliers and service providers in the same value chain to be clustered in one location. He said: "That helped companies achieve economies of scale and created opportunities for industry collaboration." It is for this reason that the Government decided to embark on the project. In 2008, work started on the 300ha aerospace hub within which Seletar Airport is located. The vision was to transform the sleepy environs of the former military airbase into a modern aviation centre with aircraft hangars, factories and buildings. Apart from former tenants such as ST Aerospace and Jet Aviation, global players such as engine-makers Rolls-Royce and Pratt & Whitney were among the first to sink their roots there. SMEs are a critical part of the Seletar community, said Mr Leow. Mr Johnny Lim, 65, managing director of Tri-Wing Aviation Resources, which provides repair and overhaul services, said: "Being in Seletar not only allows us to be closer to our customers, which is more efficient, but there is also more potential to secure new business from other tenants based here." WingsOverAsia, which provides ground-handling services at Seletar Airport as well as aircraft maintenance services, has plans to expand its presence at Seletar. Founder and managing director Ng Yeow Meng, 40, said the move from Ang Mo Ko to Seletar in 2011 has boosted business. He said: "We will keep our unit at JTC Aviation One, but we also have plans to lease a piece of land and build a new facility. "We will share more details next week during the Singapore Airshow."